Caroline Howley takes in the sights, sounds and scents of the historical city of Porto. After a night drinking altogether too much Vinho Verde, we’d stopped by Porto’s São Bento Railway Station to see, admittedly through blurry eyes, its famed azulejo tile frieze. Before long, my Portuguese guide Carolina had inexplicably dragged me towards a weighing scale on one of the platforms. But instead of telling me how many pounds I’d gained due to my unapologetic embrace of national cuisine, it banged and whirred and generated this potentially concerning fortune. After a few days in the city, I wasn’t surprised: Porto seemed to exude both eccentricity and beauty in the most unexpected of places. Chandeliers in McDonald’s, spectacular Neo-gothic architecture sequestered away in an ancient bookshop, and now this: my future told by a cryptic train station weighing scale. From the vantage point of Dom Luis I bridge there are sweeping views across Porto’s vivid Ribeira district: the city’s historic centre. This spectacular urban landscape is the undisputed heart of the city. After all, it was here the Romans arrived 2,000 years ago and dubbed the settlement ‘Portus’. 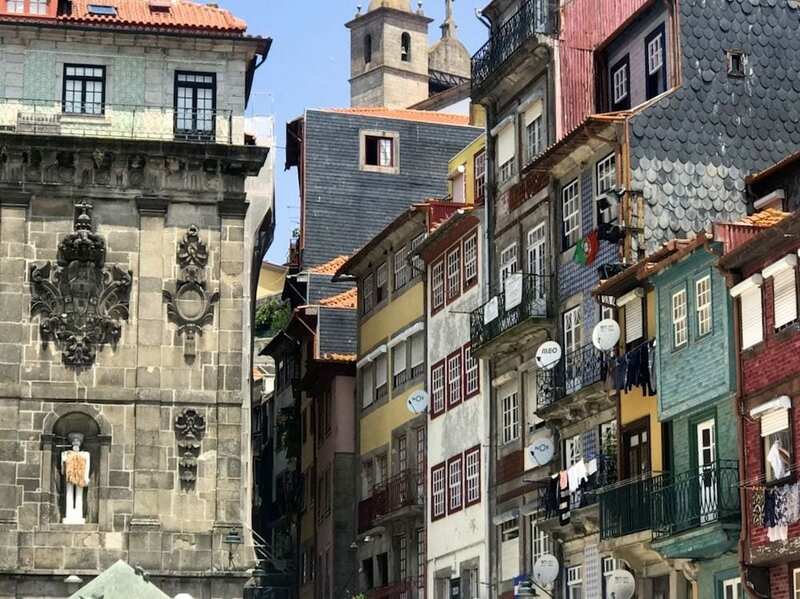 Medieval alleyways lined with crooked buildings snake down to the picture-perfect Ribeira Square, where towering houses painted vibrant yellows, reds, and blues steal the scene. The Neo-classical Stock Exchange and the striking Romanesque Cathedral lounge atop the skyline, and across the broad River Douro sit the city’s emblematic Port-wine lodges. Crowds of locals and tourists mill around shops and feast on small plates outside the many restaurants of this lively UNESCO-listed jewel. 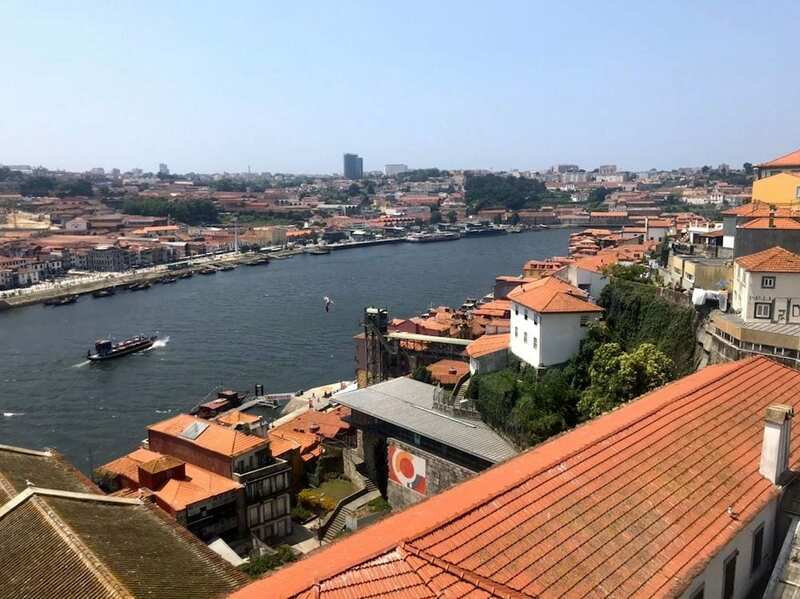 Descend to the Ribeira to dine on the banks of the river, or if you’re up for an adventure, find a concealed tasca or taberna in the surrounding alleyways. In some of these authentic watering holes you can listen to Fado – a mournful genre of traditional Portuguese music that will break your heart. One of Porto’s top attractions, Livraria Lello is undoubtedly the most beautiful bookshop I’ve ever seen. A jaw-dropping blend of neo-gothic, art nouveau, and art deco architecture gives way to rows of dusty old tomes, and a striking wooden staircase twists its way up to a second floor of enchantment. Through a fairytale panel of stained glass on the ceiling, light illuminates the shop’s dark, polished woods. Indeed, thanks to its incredible aesthetic, Livraria Lello – established by two bourgeois brothers in 1881 – was renowned even before the Harry Potter connection. In the 1990s, the bookshop caught the eye of a young JK Rowling, who, living in Porto at the time, often wrote in the second floor coffee shop. There’s plenty of mythology surrounding this: some believe the store’s spellbinding architecture inspired her description of magical bookshop Flourish and Blotts in the Harry Potter series, while others think Hogwarts’ 42 staircases were based on the one that takes pride of place in Lello. 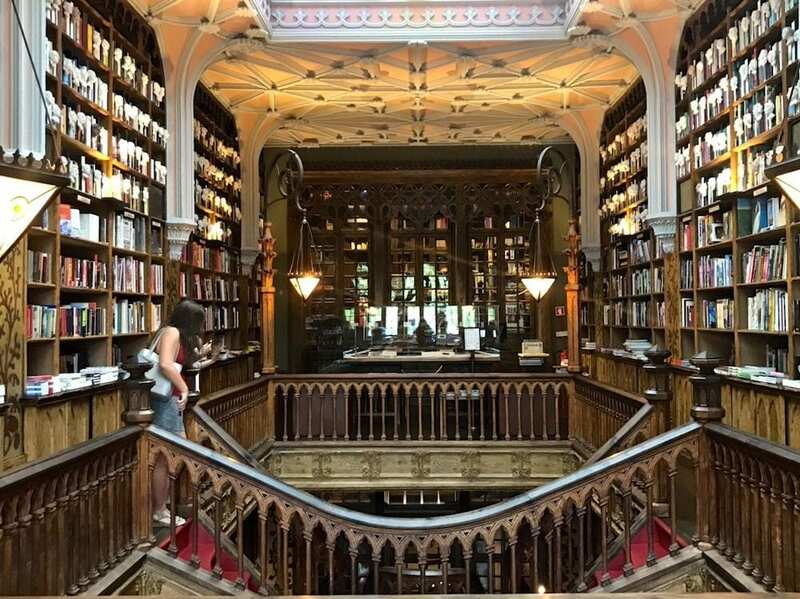 Whatever the truth, Livraria Lello certainly feels like it belongs on the pages of a novel, and there’s also a number of shelves in the store dedicated to the Potter books, in case you want to see what all the fuss is about. “We Portuguese love to eat” was a mantra I heard countless times in Porto. But, given the abundance of restaurants and the sheer size of meals, I would probably have come to this conclusion myself. Indeed, few Portuguese cities can compete with Porto in the kitchen. Trace the River Douro eastwards to fertile land brimming with rolling vineyards; in the northeast, Trás-os-Montes produces smoked meats and moreish cheeses; and from the depths of the nearby Atlantic comes fresh seafood. Porto takes first pick of the region’s bounty to deliver – massively – on the foodie front. 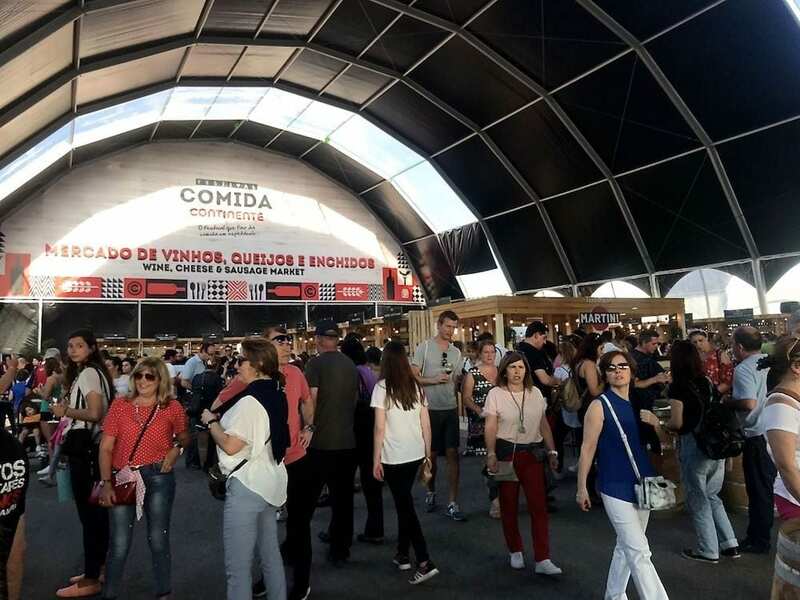 At the annual Festival da Comida Continente – Porto’s free music, food, and wine event – the fruits of the fertile north were laid out before us to spectacular effect. Cheerful stallholders dished out endless samples of wines, cheeses, and meats, as Portuguese pop boomed from the main stage. In a huge tent, renowned chefs cooked local and international cuisine for budget prices. 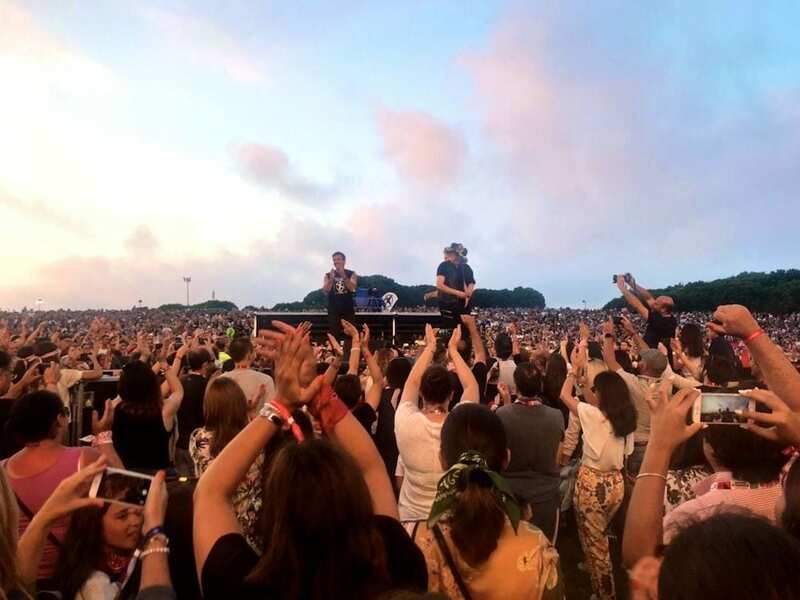 Despite being only the second event of its kind, the festival attracted half a million people in two days. Wandering around the lively venue, it was clear to see that the foodie scene in Porto is beautifully unpretentious: good food and wine here is a simple pleasure designed to be enjoyed by all. Another culinary highlight were the delectable small plates served at the cheerful Fish Fixe, located at the Ribeira, alongside the vast River Douro. We gorged ourselves al fresco on endless seafood, breads, and cheeses, only to discover that this epic spread was merely the starter, and sumptuous bowls of pasta were on the way. For sweet treats, Leitaria da Quinta do Paço is a must. The profiteroles are so tasty that customers demanded the right to buy the pastry shop’s signature cream by the bucketload, so they could enjoy it once back at home. Seafood is a mainstay of Portuguese cuisine, and you can get to the heart of this tradition at the historic fish market Mercado do Bolhão, housed in a grandiose Neo-classical building. Here, competition for customers is said to be more than rife among vendors. Indeed, our guide told us peculiar tales of fights between female stallholders that descended into them literally slapping each other with fish. Unfortunately, we were not party to such a spectacle during our visit. The walk to the market is rather enjoyable too: look out for the traditional Portuguese blue-tiled buildings – known as azulejo – on the way. When in Porto, sampling a glass of Port is inevitable. Explore Porto’s centuries-old port cellars, located across the river from the old town. Here you’ll learn about the history of the fortified wine and how it intertwines with your host city’s past. Alternatively – on a sunny day – follow the River Douro to nearby vineyards, where famous brand names are set out on hills like boozy Hollywood signs, to enjoy a warming glass of the stuff accompanied by a picnic amidst the vines. But don’t bypass the Vinho Verde in your quest for Port. This light wine is made from young grapes and tastes like a more palatable Prosecco – more effervescent than bubbly – thanks to the tradition of malolactic fermentation that originated in Portugal’s northern Minho province. To my delight, I found that – unlike Prosecco – I could drink glass after glass of Vinho Verde without ever getting bored of it. Over the past few years, great efforts have been dedicated to ensuring Porto is a safe place to wander after the sun goes down. Make the most of this by exploring the city by moonlight, and visit the spirited downtown – or Baixa– district, where locals party at night. Cocktail bars line the street and colourful flags flutter overhead, as revellers congregate on the pedestrianised streets to drink, dance, and gossip. Finish your night with a Big Mac at the most beautiful McDonald’s in the world. While the fast food chain is not typically renowned for its interior decor, this historic restaurant is housed in a stunning 1930s building that was once Porto’s Imperial Cafe. Pass underneath a stunning golden eagle that perches on the facade, and enjoy some fries in wood-panelled surroundings strung with chandeliers and decorated with striking stained glass. Caroline visited Northern Portugal as a guest of Visit Porto and the North and Visit Portugal. TAP Air Portugal has 20 weekly departures from London City and Gatwick to Porto. Prices start at £41 one way.